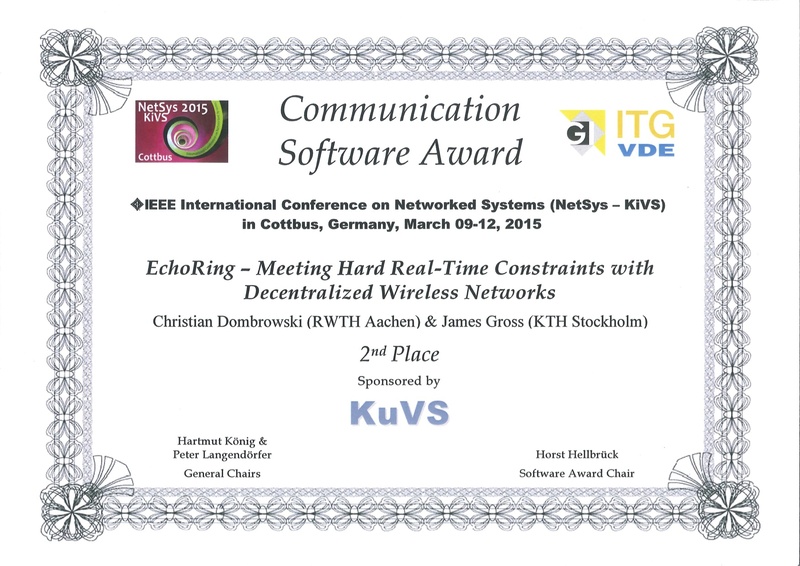 We presented EchoRing, a low-latency ultra-reliable wireless networking protocol at NetSyS 2015 in Cottbus, Germany. EchoRing has been a research project of ours over the last three years. One focus in our work was to prototype the system based on the WARP platform of Rice University and Mango Systems. The award at NetSyS 2015 was given for this demonstration. In particular we showed that EchoRing, a variant of a token-passing MAC protocol, can overcome the typical shortcomings of token-passing MAC protocols in wireless settings.